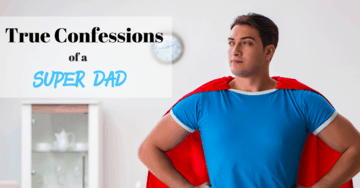 True Confessions of a Stay at Home Super Dad! Can you keep a secret? Some of our customers certainly can. Get in on a little confession from our favorite super dad “Sam” who uses our service as his secret weapon to fight the dinner dilemma! More and more dads are using our dinner planning service for easy weeknight dinners. We LOVE hearing from them and although they might not always see themselves as super dads, we certainly do. Getting a healthy dinner on the table night after night is no easy feat, and this Father’s Day, we applaud all you dads out there that do whatever it takes to take care of your families. So here’s to you “Sam”, and all the other real life Super Dads out there. Wishing you all a Happy Father’s Day! Do you want to be a Super Dad (or Mom) too? You can now check out The Dinner Daily for 2 weeks for Free. Click on button below to get started!